il giro dura meno dei 30 minuti dichiarati ma è lo stesso molto suggestivo. l'organizzazione lascia un po a desiderare ma tutto sommato nonostante l'attesa un po' snervante è andato tutto bene. consigliato. Too short since island still recovering from that massive high tide that crippled the country for 2 full daysIt was nice, however. Next tine DEFINITELY won’t be travelling to Venezia between Ictober and mid-March. Managed to book all 5 of us The usual price is 80 euro per person if book whilst in VeniceMobile ticket and no problems. We had full gondola as 5 of us. You would share if less people. The gondola ride was fine but not fantastic. If you are doing it as a couple I would recommend skipping this group experience 6 people and for a few dollars more hire any of the readily available gondolas and enjoy a more intimate ride for two. Great fun. We weren't entirely clear where to meet the organiser, but a quick call to the number provided cleared up where we should wait. Arrive 15 minutes in advance and you queue up with the other tourists to get assigned to gondolas. 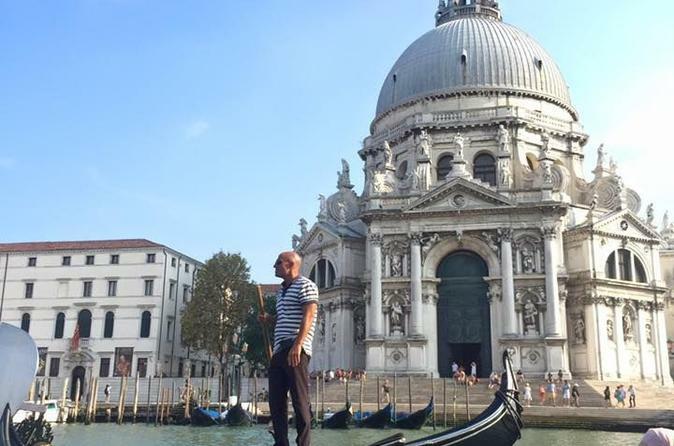 You will be sharing a gondola, so don't do this if that's a problem. We were a party of five, so we had a gondola to ourselves they normally accommodate 5-6 people. The gondola rides were running late. After boarding. . .the 'driver' was quite informative and the ride quite worthwhile. Nothing spectacular. Shoved onto a gondola with strangers which wasn’t the worst. Try to board first if riding with partner or buy in groups of 6, otherwise you will be separated to balance the gondola. 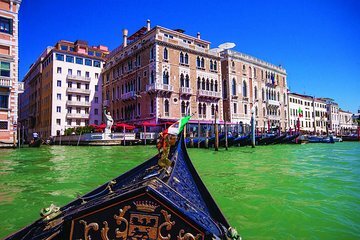 Recommend going privately as the price difference isn’t far off depending on time of day you choose to go (you pay per gondola when hiring privately). Still one of the things on the “must do” list when visiting Venice. Something I have always wanted to experience and was not disappointed. It was wonderful. some people had to push their way to board them! It was quite frustrating and irritating!!! But once we boarded the Gondolas, the experience was fine.